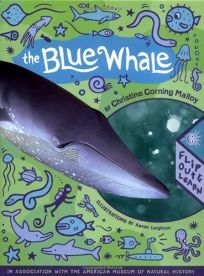 Created in association with the American Museum of Natural History, two Flip Out and Learn books by Christine Corning Malloy, illus. by Aaron Leighton, introduce science and nature topics tucked into a sturdy slipcase. The Solar System extends into a long panorama of the sun, moon and planets. The backs of the sturdy cardstock panels record brief facts about the solar system, and an attached eight-page booklet offers more detailed information. The Blue Whale pulls out to depict one very large mammal plus accompanying points of interest.